Write with Fey: Blogger Interview with Penny's Alleged Human, Gary aka "klahanie"
Blogger Interview with Penny's Alleged Human, Gary aka "klahanie"
After my blogging break and everyone had a break from the A to Z Challenge, I thought it would be interesting to have Gary from Klahine as a guest. If anyone knows him at all, you know that he doesn't like A to Z or blog hops. I wanted to bring a different opinion to my blog and rather enjoyed his answer. 1. You let everyone know about your dislike for bloghops and the much-loved A to Z Challenge. What is it about these blogging activities that you don’t like? Okay and I shall answer your question very delicately. I do understand that for a number of bloggers, blog hops, blog fests, or whatever you wish to call them, are embraced as being part of a sharing, caring blogging community. However, the cynic in me, which, of course, I try to keep under control, thinks that there are some bloggers who only get involved because their ego is obsessed with getting more followers. I realize that you might take exception to the preceding sentence. However, I know that the number of followers doesn't necessarily indicate a blog's popularity. It can be a rather superficial aspect of blogging that disillusions me. The A to Z Challenge hijacks the month of April. Actually, if you take into account the reflection posts about the darned thing, it can pretty well take you up to April Fool's Day, 2017. At which point, you start all over again. In the past, I've had distressed bloggers email about the A to Z. Told me they were struggling. Told me they felt guilty, stressed and anxious because they couldn't keep up with reciprocating comments on other sites. I tried to put them at ease. It's a sad commentary if a blog hop can cause such worries. I look back to the early days of blogging when it was more of a free-for-all. During the month of April, I just want to hide away from blogging. 3. Can you tell us about your stance against the “unfair stigma attached to mental health issues”? I've been an advocate for bringing about change in the public's and the media's perception of mental health concerns. I've been involved with the local media in Stoke on Trent, England, to get them to reduce their urge to sensationalize stories about those suffering with mental health conditions. My goal, like so many, is to eradicate the unfair stigma attached to mental health issues. You have to understand that mental health problems can happen to anyone of us. It can be from an overwhelming negative situation, a named diagnosis, or a combination of both. This is all part of the nature/nurture debate. Thus, we all have to show compassion to somebody who is struggling and not dismiss them as being weak. It takes great strength to admit you've got a problem. It takes great inner strength to admit you have a solution through the empathy of those who truly relate. 4. Your blog was featured on the B.B.C. 's radio station 'Radio 5 Live”. What was that like? That was way back in July, 2007. I was interviewed, along with a friend of mine, Tony, who'd started up an innovative blogging "library" group named, "Mindbloggling." A number of bloggers, with various mental health issues, displayed their various talents, be it artwork, poetry or writing. We all met up in the office of a mental health charity named, "Media Action Group for Mental health", which was located in Stoke on Trent. It was decided that my blog would be featured on the radio station. The host read out segments of one of my blogs. Being interviewed was a surreal, nerve-wracking experience. Being interviewed and having parts of a blog posting read out, filled me with irony. For there I was, a virtual recluse, being listened to by a worldwide audience. It's a time I shall never forget. I know that Tony and myself were encouraged by the positive reaction we got. Worldwide attention that demonstrated that our mental health issues are only a small part of who we are. My 5 most-viewed posts are not necessarily what I would consider my 5 best posts. Anyway, here goes. 6. Introduce us to Penny the Jack Russell dog. Penny the Jack Russell dog and modest internet superstar has been an important, cherished part of my son's life, my life, for over 15 ½ years. She has taught us lessons about a dog's unconditional, non- judgmental love. Penny has tried to teach me how to write better. Alas, she's had to be most patient with me. Write to the one person on the other side of your screen and not to an audience. Try to make it an intimate style of blogging. 1. Favorite time to post blogs? Three in the morning. 2. Blogger or Wordpress? Blogger. 3. Do you host guests? Occasionally. 4. Where are you when you’re blogging? In the bedroom. I'm a man challenging his "inner critic." I've come a remarkably long way since the time I nearly died in hospital from alcohol poisoning. That was way back in June, 1998. I left hospital a free man, free from the insidious illness that alcohol produces. Since then, despite a debilitating lack of self-confidence, I managed to raise my son as a single father. That speaks volumes for resilience, determination and the genuine desire to get better. My son, our dog, loving catalysts in my life. Knowing people worldwide were reading your blog and having your blog read over the radio to the whole world are two different things. At least with the first one, you can pretend it's not happening. Keep fighting the fight, Gary. And if you do venture out next April, I promise my blog with be alphabet free. How very kind of you to refer to me as an awesome guest! Thanks. Ah yes, good point. I remember that just before I was about to be interviewed that they have an approximate worldwide audience of 30 million. So, wouldn't you know, the guy starts interviewing me and in my head I'm thinking, "30 million people. Yikes!" Then I visualised that it was just me having a nice chat with one person that helped. The good fight for what is right, goes on, my kind friend. Alphabet free! Yippee! And thank you for your very nice email, Alex! A peaceful Memorial Day weekend to you and your loved ones. Thank you for also thinking I'm an awesome guest, Chrys. It was an honour and most flattering that you asked me, yes me, shy and humble me! It's good that people are made aware of mental health. It's so important. It is very important. Thanks for commenting, Lux! Indeed, mental health concerns can happen to anyone. We have to be here for each other. Have a pleasant rest of your weekend. Hi Chrys - and Gary, and for that matter Penny, who understudies for the great man on many occasions. The one thing about blogging is that I've met many amazing people and learnt from them - the way they write, how to publish their (our) books, always someone to ask questions of, new technical ideas and then the various struggles so many have - which having spent time with my mother and uncle in various hospitals - I've appreciated those difficulties. Blogging teaches us - and we can learn ... it's an amazing therapy too ... during those hospital and Nursing Centre days I needed something positive to come home to - bloggers did that - they didn't know what was going on ... but I was grateful for the positive comments. Hilary, just like your blog, your comment is thoughtful and comprehensive. I've always admired that about you and your impeccable writing skills. If anything, these day, most notably, I'm the understudy for Penny. That's the true beauty of the blogging world. The diversity, the sharing of ideals, the learning from each other, has, I believe, made blogging a force for positive possibilities. During those times spent at the hospital with your mother and uncle certainly showed that blogging was just the tonic, the wondrous distraction you needed, during tough, emotional times. The interactive, proactive support is marvellous and displays the finer attributes of humanity. I treasure you comment, Hilary. Our environment can have a dramatic impact on our mental health well being. I continue to challenge the unfair stigma still surrounding mental health issues. I am no ashamed of who I am. My dear friend, you most certainly realise that. Thank you and may you have a lovely Bank Holiday weekend. I'm glad I asked Gary over to start this conversation. Not just about blogging but mental health. Thanks for commenting, Hilary! I see what you mean about A to Z. It does kind of take over. That's one of the reasons I sit out NaNo in November. It's nice to sit back and watch those things. Mental health issues are a huge deal, and it's through people like you that our attitudes are changing. Ah yes, that alphabet thingy! :) I remember the days before blog hops...sigh. Oh, thanks for reminding me, I did a satirical post on that NaNo challenge. Hard to believe, I know. Your closing sentence is most encouraging. Thank you, Liz. A pleasant rest of your weekend. Mental health issues are indeed important. My hubs is recovering from a cardiac arrest two years ago and is finding it hard to adjust, but continues to try. People used to hide these issues 'in the closet', but with more understanding, and people like you who talk about it, perhaps things will improve. As for the A to Z, I've done it four years and not sure if I'll do it next year. Well said. Mental health issues impact on all concerned in one way or another. With your ongoing support for your husband through such a traumatic event, bodes well for him. It's about embracing positive resources that have the key element of empathy. As people become better informed, ask questions, indeed, more understanding and compassion will be realised. Talking, verbalising our valid feelings, is a positive step forward. Well said, Gary. Only through talking about mental health issues can we hope to educate and bring about change. I know only too well how hard it can be. Thank you for that, dear lady. For sure, talking and not being ashamed about having mental health issues, is a significant step towards that better direction. Thank you for your added voice. Have a peaceful rest of the Bank Holiday weekend, Suzanne. Hello to Penny's imaginary friend, Gary :) You have accomplished a lot. I have most enjoyed your posts, and picture. There is so much beauty in your life and it is good that, cynic or not, you are able to appreciate some blessings in your life. Have a good weekend Gary, and Penny. Thanks and I've done rather well against a lot of adversity. I savour the beauty, take time out from the hustle and bustle of this frantic, fragile world. The cynic in me gets a bit dismayed when we get comments like, "Great post! Thanks for sharing!" I have a pretty good hunch that the person leaving such comments hasn't actually read the post. Thus, thank you, my kind friend, for a thoughtful comment. What a fantastic, honest interview. I don't think Gary knows how important he is to a lot of bloggers, and how his (and Penny's) comments brighten our day. I completely understand how he feels about the A-Z challenge - I've done it twice, but not consecutively. It's grown so much since it started. Thank you for your heartening comment, dear Annalisa. I've been really struggling for over a year now to maintain the blogging interaction. I will openly admit that my mental illness has been a huge challenge during that time. A challenge that will never defeat me. That is thanks to you, Annalisa and so many caring souls. Have a most pleasant rest of the Bank Holiday weekend. I applaud Gary , any stigma ......and I should know being Epiletic is not pleasant for the sufferer. I have been a follower of Gary's fro quite some time. Thanks Chrys for bringing nGary to the fore. Thank you for your kindness, my dear friend. I know that you, despite your epilepsy, do your best to live a positive life as best you can. You have my total admiration for your undaunted attitude. We are all in this together. It's always an honour to interact with you, Yvonne. A pleasant, hopeful Bank Holiday weekend to you. Thanks for visiting Gary's interview, Yolanda! Gary's work to shed a light on mental illness is to be applauded. Too many people don't understand, and his words have not only educated those people, but have also provided much-needed support and understanding to those who need it. There is still that mentality that thinks those who have mental health concerns are weak and need to get a grip. Then again, sometimes and I wouldn't wish this on anybody, but they truly understand when an environmental situation impacts on their mental health well being. Information and education is rather encouragingly, removing the stigmas and stereotypes. Thank you for your heartening comment, Susan. May you have a peaceful, reflective Memorial Day weekend, my lovely friend. Hi Chrys, I clicked on your post today intending to tell you how much I always enjoy the interviews you do. But this one has moved me to tears and nearly rendered me speechless! I do hope this dynamic duo knows how important and necessary their message is to every soul ever touched by mental illness. I have to agree with Gary's (or is it Penny's?) assertion that blogging can be quite therapeutic, whereas, too much blogging becomes stressful and defeats the whole purpose. And I loved the point about writing to one person. Doing so would certainly make it less generic and likely more appealing to any reader:-) Fabulous post, lady Chrys! What a kind, considerate comment. Thank you. Penny the Jack Russell dog and modest internet superstar and I, her human dad, do indeed convey the message that all those affected by mental illness, need not suffer in silence. It's most likely Penny's assertion. Rumour has it that I may well be a fictional character created by her :) Blogging, most assuredly, can have great therapeutic, cathartic value. I'm sure you realise how difficult it can be to find the balance in blogging that works. I know that there have been times I spent almost an entire day just commenting. I've had to slow down and take it easy just to reduce the unwarranted stress. Thank you for relating to the point of writing to the one person. I prefer an intimate style. Somewhat like the reader is very much part of what's going on. Empowering the reader. I would never start out a blog post stating, "Hi everybody." Thank you for your heartening comment, Diedre. Great interview, especially the importance of discussing mental health issues and not being a stigma but in the majority of cases treatable with the right combination of medication and treatment. Only blog hop thing I do is A/Z, and questioning whether I'm doing it next year. I don't really care about followers; I like to blog for relationships built. I rather have 20 followers and 20 people I get to know rather than 100s of followers that never comment or rarely comment. Its been a fun experience to blog and meet so many diverse interesting people across the country and world. Thank you for your thoughtful comment, Betty. Indeed, discussion, awareness, medication and surrounding yourself with the positive resources conducive to our mental health well being. I totally agree with you. Follower totals are rather misleading. I know that it would be all too easy to accumulate followers and have a superficial following. I mean, I've been to sites with well in excess of 1000 followers and zero comments. That tells me all I need to know. Blogging, ideally, a shared, learning experience where we celebrate the diversity in an all different, all equal blogging community. Well said and thank you, Betty. You let the human play? I suppose you need a nap some point at your bay. Pffft to the dumb numbers thing. Rather have fun people at my wing. Those that are all "great post" or "followed you, follow me back" can go get flushed down an outhouse shack. I do Like Mr G he is a good blogger and does interact remarkably well with all his followers. Likewise, good sir, likewise. Thank you and enjoy the rest of the Bank Holiday weekend. A wonderful interview with a person who has a big heart and he cares about the people he interacts with in the blogosphere. If you can touch but one life through blogging then I think it is worth it. What a kind, caring comment, my lovely friend. You make an excellent point. Blogging can be such a wondrous force for compassion and respect for another. I know a lot of blogging can be done discreetly in the background with little fanfare and yet, such a positive result. Have a peaceful, sunny Memorial Day weekend, Truedessa. Great interview! 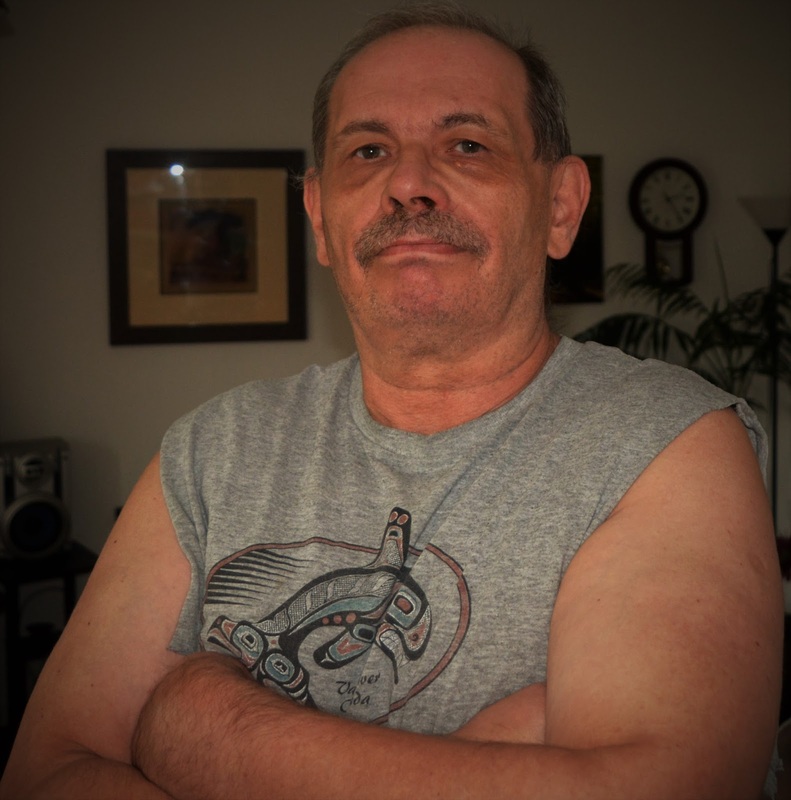 I'm happy to call Gary one of my friends on blogger and Facebook! Love his blogs, posts and LOVE Penny! Thank you, my kind friend. 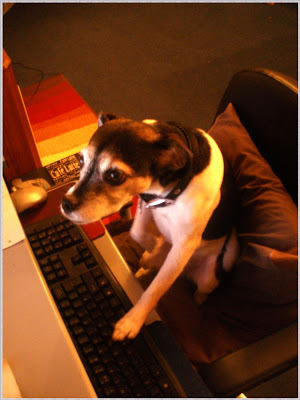 Penny and I, her mere or alleged human, are equally delighted to interact with you on blogger and of course, "Farcebook", which Penny calls, "Farcebark"! Wishing you a peaceful Memorial Day, JoJo. MY, gosh, you have so much to offer, darling, so much to say. Why, thank you. Rock on!! You are most kind. Like you, I passionately believe in being transparent. Have a peaceful, reflect Memorial Day, Kim. Thank you so much Chrys for convincing Gary to come out from hiding. We love Penny (of course) but it is lovely to see and hear from Gary again. Oh yes, Chrys begged, um Chrys asked me if I would like to do a guest interview on her site. How could I possibly resist. Thank you for your kind words, Sue. Penny and I both adore you and your compassion. It's such an honour to have you follow Penny and me, her fictional human character! :) Oh my, I revealed Penny the diva's age. Yes, as of this October, Penny will be 16. Yes, I'm a radio star. Of course, video killed the radio star...now you have that song in your head!!! I've always believed that being candid, which not everyone feels comfortable with, has been a source of comfort, of relating, to some who read my writing. Wonderful interview. I wish him well on his quest to education the world on mental illness and chuckled on his A-Z take (I've been where he's at, but I did it this year, mainly because I wasn't very mobile and had time to ponder and think. Thank you for that. The quest continues and there are some hopeful signs that mental health awareness is improving. Understand why you'd get involved in that alphabet thingy. I've no doubt it was a positive distraction for your good self. Terrific interview with a terrific twosome. And fab photo of Gary! I wish I'd thought of interviewing Gary before you took on the task and did it so well, Chrys. Maybe Penny will let me interview her. Gary, I'm with you on A to Z. I don't want that pressure. I participate in some bloghops if I think they're fun. I enjoy Battle of the Bands. But I don't live and breathe bloghops, and while it's nice to have followers, finding more isn't much of a goal for me these days. I don't want to lose the personal relationship I have with my followers. I bet alcohol poisoning sucked. Overdoses do, too. Chrys most certainly did a masterful job of setting up the interview. Of course, it took a lot of persuading and few chocolate chip cookies, to get to agree to being interviewed :) As for Penny, she did a guest interview on Alex J. Cavanaugh's amazing site. She might be convinced if you bribe her with luxury doggy biscuits! You get involved in blog hops for reasons that are enjoyable and don't create stress or guilt. Nice to have genuine followers, for sure, Janie. It's those drive-by bloggers that really aggravate me. The personal relationship with the followers who really care is a wonderful situation. Alcohol poisoning nearly killed me. You have my empathy, my dear friend. I loved Gary's post. He's such an honest man. I'm with him on the A-Z. So many people join up expecting to get hundreds of comments and end up with one or two. You've got to give it too much time. This year especially, I had blogger friends tell me that the reciprocation was at an all time low. Lets just face it; we are far too busy for something that takes up a big chunk of the year. Go Honest Gary! And hello Penny! Thank you so much, Denise. Wow and thanks for understanding what I meant in regards to the A to Z. It just becomes too much. In the past, I've received emails from bloggers doing the A to Z who were so stressed and guilt-ridden because they couldn't keep up. That's a worrying situation. I really get outraged by those few who just use blog hops, blog fests, or whatever they're called this week, to do one-way self-promoting. It takes away from good people like you, Denise, who embrace the spirit of a sharing, caring blogging community. Penny says "arf!" and thanks for your pawesome comment. I admire Gary very much for all the work he does helping to get the stigma removed from mental health issues. As he says, it could happen to anyone, some are born with the problems, some have overwhelming circumstances. There should be no blame or shame, just help, non-judgemental help. His reasons for disliking the A-Z are much the same as my own. Exactly and well stated, River! Nobody knows what lies around the corner. Yes, mental health issues can happen to any of us. Non-judgemental help. Oh how very true. Thanks in regards to the A to Z.
I enjoy Gary's blog, both the funny stuff with his humor and cute superstar as well as the serious issues about mental health and homelessness. You are way too kind! :) Penny and I have always tried to maintain a healthy balance in our blogging topics. Some of the most amazing, noble people I've had the honour of meeting were sleeping rough on the streets. Great interview! I agree about dissolving stigmas surrounding mental illness and similar invisible disabilities. Too many people think they're either not real, or have very judgmental views of the people who have such issues. I appreciate that. Thank you. Your points are thoughtful. There are those who have not experienced mental health concerns who are too quick to judge those that have gone through, or are going through such torment. Thank you for visiting, Teresa! I just knew Penny would said your caring self over here, Teresa. Good Penny!!! Enjoy Bank Holiday Monday, Teresa. Ah Chrys, we are working as a team here. Nice one! It does take strength to admit you have a problem, and even more so to seek help. Gary has gone beyond that in being an advocate. Nicely put and thank you, Diane. I admit I have a problem. I admit I have a solution. Nobody need be ashamed of needing help. We are all in this together. A peaceful Memorial Day to you and your loved ones. Wonderful interview! I learned so much about Gary that I'd been curious about. Chrys asked all the right questions, and Gary's answers were enlightening and inspiring. Loved it! Thank you, Lexa. This was a most positive result. I'm delighted you liked my answers. All the best, my fine friend. Love this post (but I pretty much give a big thumbs up to all of your stuff, Chrys). The A-to-Z is a challenge and I do like that it gets me out of a rut and I say if you enjoy it, do it. If you don't - well, what in the world would compell you to do it, lol. I put a counter on my blog because my son enjoys numbers but I have to say I'd rather have two fun followers than a thousand competitive, needy bloggers. Had an experience with such a blogger this year and I will never get involved in that again; I'll head it off much, much earlier. We live and learn! Have a safe, happy weekend! It seems there are plenty of thumbs up when it comes to Chrys' talent of asking very interesting questions of those who are honoured by being asked. Strangely enough, I've had a number of bloggers contact me moaning about the stress they felt doing the alphabet stuff. So, yeah, what the hell are they doing it for! It’s just lovely to find out more about Gary. I’ve been a fan of the Klahanie blog for a little over a year now and always look forward to new posts. He and Penny are the perfect pick me up. Thanks and happy blogging, Barbara. I see the Royals are now fighting the same fight about Mental Health problems. I didn't know Penny was that old, a good age for a dog. My apologies Chrys for mis-spelling your name. Hopefully, the royals can set up some programs to help those with mental health problems as our government has cut back severely on valuable resources. Penny is just like a puppy. Quite remarkable. Insightful interview Chrys and Gary. And I fully appreciate Gary's observation on the month of April. If you're not part of the Challenge, the month can be a wilderness because everyone else's energy is so taken up by the Challenge. I pretty much go dormant that month. Thanks, my good friend on Vancouver Island. You read my mind in regards to the alphabet challenge. It really does hijack the blogging world and for us who are interested, we get stuck on the sidelines. I how I harken back to the days when blogs were diaries to the world. So wonderful to see Gary and Penny here! I always love visiting with them and I enjoyed learning more about Gary's no A-Z policy and his reasons for not liking blog hops etc. Gary is a breath of fresh air! I had no idea his block was featured on the radio. Wow! Wishing Gary and Penny all the best. And wonderful to be here. How did that happen! LOL You say such nice things about Penny and I. Thanks for that. I try not to upset folks but all those blog hops just do my head in. Yep, I should have my own blogger talk show on the radio! All the best to you, Jess. I came over from Gary's blog and I'm so glad I did. This was a fantastic interview, especially the part about mental health issues and the stigma attached. We must move forward. We must do better. How's it goin', eh? The awareness of mental health issues is ever increasing. The stigma is being removed. Compassion, the willing to learn, is creating a better ideal for all of us. For all of us are impacted by mental health. Thank you, my kind friend, Martha. Love the Gary! And the Penny! And the love is mutual, lovely Shelly. Chrys, thanks for showcasing one of the most important bloggers I know. Gary's a fine fellow, and I can't imagine blogland without him. You're one of the good guys, Gary, and you always will be. Thank you for all you do. And big pats for Penny the Jack Russell dog and internet superstar! Best to your dear boy. Joylene, Gary sure is something. I knew I couldn't go on with my blogger interviews without interviewing him asap. You are so nice to me, my amazing, resilient friend. You know I'm discreetly in the background doing the best I can. Penny and I both admire you on so many levels for we share that priceless gift of empathy. Best to you, eh, dear lady. I'm tardy to the party but better late than never, eh? Great interview! And I love, love, LOVE that photo of Penny at the computer! I think the friendships you've built via blogging are a tribute to the fact that empathy and honesty are what build relationships. There's a need for that on the internet, where so much is about narcissism and the me-me-me state. It was fun learning a bit more about you. Your words are wise, my friend. Honesty and being candid seems to be vital element in the compassionate ethos of the blogging community. Those who are self-obsessed make me most dismayed. Still, let them get on with their delusions. Thanks, Shannon. Hope you have a peaceful, reflective Memorial Day. Reading this interview opened up more of who you are and the struggles you have had, and still fight the battle. Mental health issues were always viewed as weakness in farm communities where I lived as a child. So, all many sufferers struggled with depression, PTSD, bi-polar,.. I admire you so much, Gary. And of course, Penny. And of course, Chrys. Thank you for your very kind comment, Susan. The battle of peaceful defiance against my mental health issues, continues with renewed resilience. Hopefully, mental health issues within the farming communities, are no longer the taboo subject they once were. Thank you so much and Penny thanks you so much. And, of course, Chrys, who initiated the interview. A marvellous inspiring post, I have followed Garys blog for ages - not to mention Penny, who has the most amazing canine literary talent ever!! Thank you for your kind, considerate words, Jenny. Your travels and photos are a must see in the world of blogging. Ah yes, Penny the writer and acclaimed pawblisher! Great Interview with Gary. I've been on an extended blog break and have missed Gary and Penny's stories. I've missed the A-Z for a couple of years but I always love his Anti A-Z and his take on the challenge!!! Thank you for that. I know you've been on an extended blog break. I cannot find your blog at this time. Awesome interview! Gary is an inspiration, and I found myself nodding with his opinion of the A to Z Challenge and bloghops. Blogging should be fun, not stressful. Thank you, kindly. Such nice words. Exactly, blogging should be fun and not stressful. Wow I had no idea that Gary's blog had been featured on the BBC station! How wonderful. I have always admired Gary's work against the stigmatization of mental illness and it's great that his blog got that kind of attention. Thanks for sharing this interview, Chrys! It's always great to see Gary and of course Penny the superstar. Oops and hello, Julie! It only took me a week to get back here and respond to your most thoughtful comment, Julie. It was an experience that I will never forget having the BBC get back to me and allow us, as a collective group, to have our voice heard. Having the host reading out parts of my blog was one of the most profound and surreal times of my life. Thank you so very much, Julie. Better late than never! That's my motto and I'm sticking with it. I've had this interview on my list of Must Do This for a few days, but now I get to check that off. That will make me feel as if I've actually accomplished something. Of course, I enjoyed the interview and seeing all the things I'd pick up here and there about you and Penny, neatly put together. I was blown away when I read your blog was featured on the BBC! You are beyond a doubt a celebrity. How proud I am to know you. Your arrival has been received with eager anticipation, my kind friend. I'm heartened you enjoyed the interview and yes, the symmetry Penny and I share in the embracing of pawsitive aka, positive ideals. Being interviewed by the BBC I saw as an opportunity to help reduce the unfair stigma that still surrounds mental health concerns. Of course, I'm the reluctant celebrity :) My friend, thank you and I'm truly honoured to know you, Lee.